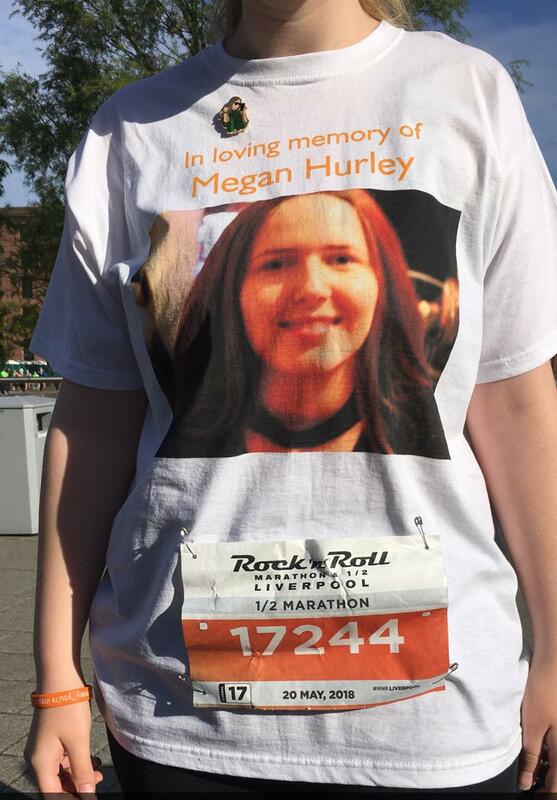 Sarah Turnley, a friend of Megan's, took part in Liverpool's Rock 'n' Roll half marathon on 20th of May 2018. Sarah's family & friends all sponsored her to raise money for the 'Megan Hurley Foundation', raising an incredible amount of money helping to support our charity in Megan's name. Sarah was awarded with her own 'Megan Hurley pin' for taking part in fundraising for our charity. To find out how you can get involved by starting your own fundraising & have the chance to get your very own 'Megan Hurley pin' then please click here.